These sponsors have contributed over $5,000 to help us build homes in the St. Vrain Valley. These donors and their support lay the foundation for us to continue building. They have contributed over $10,000 towards the construction of homes. Giving more than $75,000 in the last two years, these organizations have generously supported our work, enabling us to expand our capacity and serve more families. Thanks to our Subcontractors and Suppliers! Every St. Vrain Habitat home has over $30,000 worth of donated or discounted labor and supplies provided by local and national subcontractors or manufacturers. This support allows us to reduce our cash costs and build more homes. The following organizations have donated their talents and/or materials to build homes for families in the St. Vrain Valley this year. AAA Electric, started in 1962, performs residential and commercial electrical work, including service, remodel and new construction. 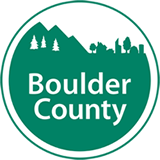 Since 2002, AireServ of Boulder services residential and commercial heating, cooling and refrigeration equipment in the Boulder-Longmont area. Black Roofing, started in 1975, installs commercial and residential roofs, as well as sheet metal, across the Front Range and beyond. Windo VanGo offers blinds, shades, shutters, and draperies for every room in a home. They are a family owned company based in Broomfield and have been serving the greater Denver area for the past 20 years. Nixcavating started in Longmont in 1982, and provides excavation, demolition, underground utility work, and grading throughout the Front Range and Denver-Metro areas. Boulder Roofing, established in 1988, installs residential roofing for new construction and re-roof projects in the Denver-Boulder area. Started in 1998, PODS provides containers for moving and storage to both personal and busines customers. Founded in 1905, Brown-Strauss Steel distributes structural steel throughout the Mid-West and Western US. Precision Plumbing, established in 1982, provides service for plumbing, heating, cooling and electric in the Denver and Boulder areas. Since 1996, KJ Thomas Mechanical has been serving Longmont and the surrounding areas as the leading heating and air conditioning experts. ProHome Colorado administers third party warranty service to builders across Colorado, since its incorporation 2003. The Job Shop, established in 1990, provides handyman services to homeowners throughout Boulder County. Radon Engineering provides residential and commercial radon systems all along the Front Range. Roberts Excavation provides residential, commercial and oilfield excavation services in Northern Colorado and beyond since its start in 1991. Stewart Electric provides new construction electrical work in Boulder County and Winter Park. The following companies provide discounts on their services or products to Habitat for Humanity to help lower the cost of homes. Bestway Concrete supplies ready-mixed concrete and aggregate to residential, commercial, government and industrial projects in Denver and Northern Colorado. Established in 1994, CivilArts provides Civil Engineering, Planning and Surveying services for commercial, residential and oilfield projects across Colorado. Napp Landscape Services, established in 1981, provides full landscape services for residential and commercial projects in Boulder County. Bob Derr Drywall provides drywall repair, installation and finishing to homeowners in Weld and Boulder County. Twin Peaks Windows and Doors, started in 2005, sells and installs windows and doors from multiple manufacturers for new construction and remodel. EV Studio provides architectural, engineering and planning services in Colorado and Texas for commercial and residential projects. Budget Home Center is a local, independent home retail center that carries a wide range of residential and light commercial construction products for the homeowner and contractor. Lynch Floorcovering Installations installs all types of flooring throughout Northern Colorado. Started in 1974, Rigid Component Systems manufactures wood roof and floor trusses for residential and commercial projects throughout the Front Range. Carpet Masters sells and installs all types of floor coverings, including carpet, hardwood, vinyl and tile, in residential and commerical projects in Northern Colorado. Established in 1986, MOORE & BISHTON ARCHITECTS P.C. designs commercial, educational, religious, governmental, and residential projects along the Front Range and northern Colorado. *Disclaimer:This page is to celebrate and thank our partners and sponsors. 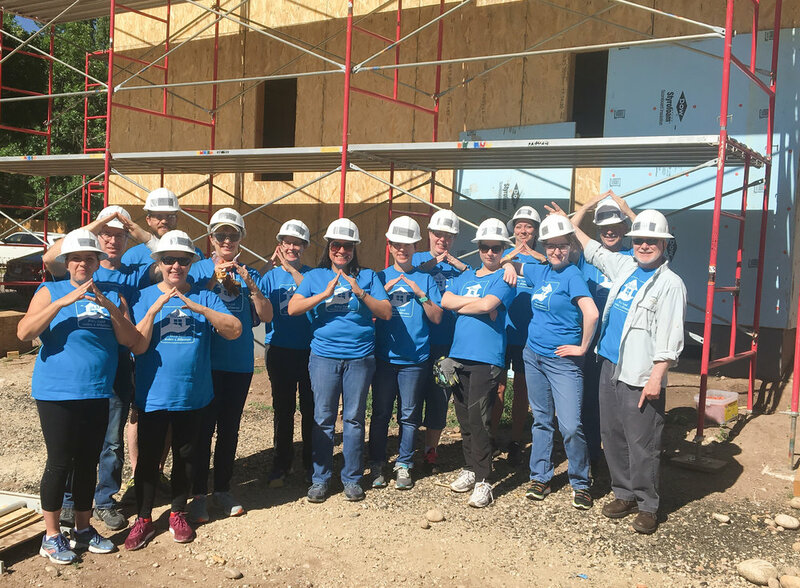 Habitat for Humanity of the St. Vrain Valley does not endorse or promote or recommend commercial products, processes, or services provided by any of the partners/sponsors listed. To the best of our ability and knowledge, the links are safe and updated. You click at your own risk.